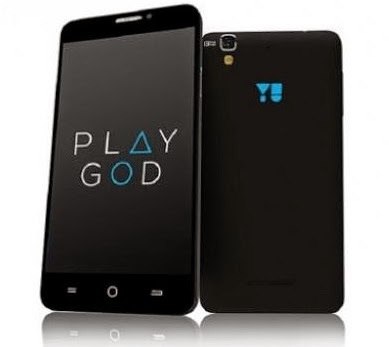 Good news for all Micromax lovers, as new branded Micromax Yu Yureka will be now on sale at Amazon from this coming year, 13, Jan from 2 pm onwards. People need to be registered for this amazing mobile phone and this registration will start from 2014-12-23. This mobile has been launched last week. This mobile phone does not cost very high, just Rs 8,999 only. Probably, this Micromax piece is going to be limited in stock. Ø It has a 5.5 inch IPS display. Ø It has pixel density of 267ppi with the best Coring gorilla glass for the protection from scratches and dust too. Ø The rear camera is of 13MP while it also has front camera, which is of 5MP. It would allow you to take Selfies even in a more better way and from closer. As it has 71 degree wide angle lens to focus even more. Ø It has 16 GB storage Space and 2 GB RAM Processor. Ø The price is very reasonable. Ø It gives the benefit of many already installed apps like; Facebook, Watsapp, Instagram, Wechat. So that you can access to your friends and others in just seconds of time. Ø It can be available in various colours according to the user’s choice. According to the co-founder, Rahul Sharma has announced the same information officially and he also admitted by himself that this sale time on January would also give them some time to smoothen out the stock perfectly for the phone. Still, the company had not confirmed that when will the sale will be off and how much stock is it for the same. So hurry up, register yourself at Amazon and get your Micromax Yu Yureka as soon as possible.